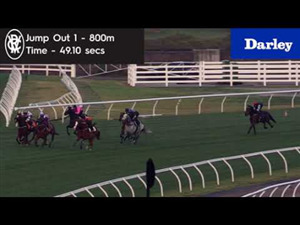 The Randwick Wrap for Winx Stakes Day at Randwick on August 18 featuring a race by race assessment of the nine event program by form analyst Alex Steedman. 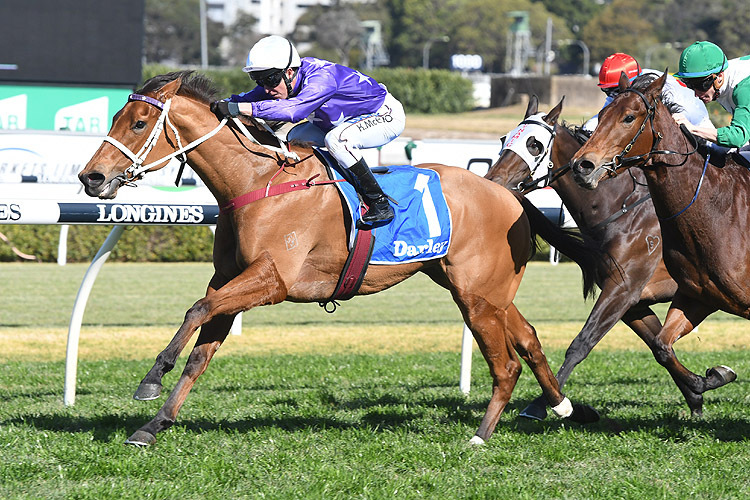 The Randwick Timeform recap featuring a race by race overview of key performers and ones to watch out of the nine race Winx Stakes program on August 18. Winx of course stole the show in claiming her namesake event, the Group 1 Winx Stakes (1400m). 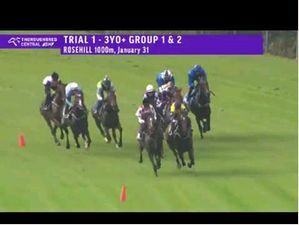 The performance where she accounted for a pair of last season’s leading three-year-old’s in D’argento and Kementari was a far cry from her success in the event 12 months ago where she just reeled in Foxplay for a heart in mouth success. 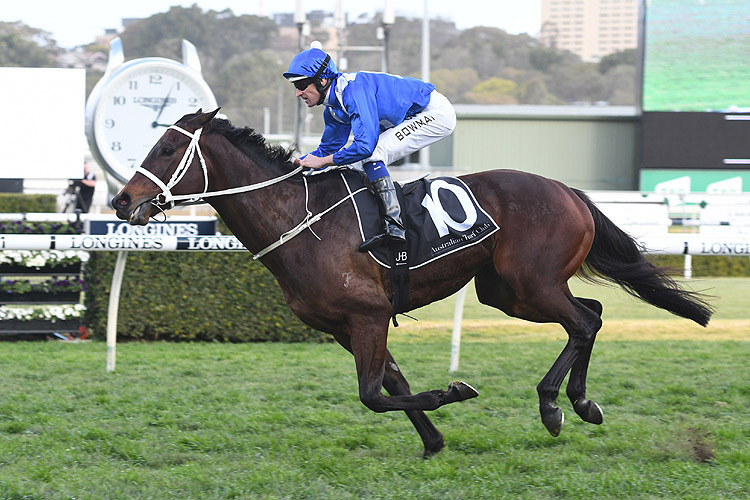 Her victory returned a Timeform rating of 126+, the same figure Winx returned when resuming in the 2016 renewal of the Warwick Stakes (1400m) and subsequently won the 2016 Cox Plate by eight lengths. The consistent Le Romain carried 61kg to victory in the Group 3 Show County Quality (1200m). 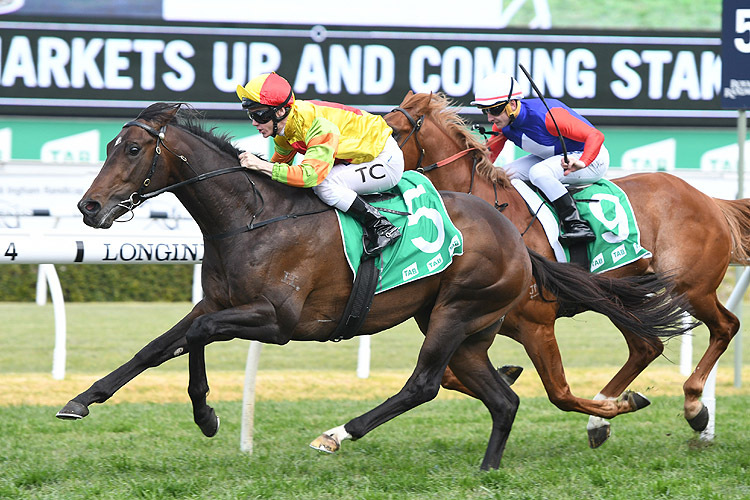 The Kris Lees-trained gelding can now lay claim to being the highest rated winner of the Group 3 sprint and is expected to take beating in next fortnight’s Tramway Stakes (1400m). Kaonic took another step toward the Epsom with his second win from as many starts this prep. Godolphin’s UK import Best Of Days was charging home for sixth after being held up badly for a run and shapes as a key blackbooker out of Winx Stakes day along with Irukandji who finished fourth in the Group 3 Up And Coming Stakes (1300m). Another perk of the Highway Handicap initiative is country owners can say they had a winner on a major raceday in Sydney, in this case, a program which the champion mare Winx also won on. Parked behind the speed. Butchoy quickened well when he got the split and drew clear, running to a Timeform rating of 82. He’s only lightly-raced and there’s plenty of promise there. 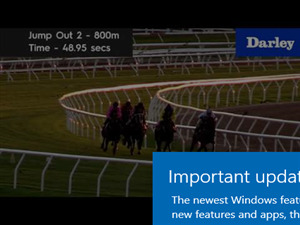 He could potentially drop back to a 1400m Highway Handicap at Randwick in two weeks. Cisco Bay ran well, hugging the fence to run second. Panzerfaust was strong in fifth. The rail was where you wanted to be at that stage of the day and regardless, she was good out wide. 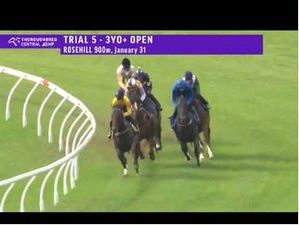 Segenhoe got away with murder out in front. He had an absolute picnic up there with plenty of cheap early/mid sectionals. Sure enough it meant the Ekraar gelding had a good kick in the straight to hold off Vaucluse Bay. We’ve got him running to a Timeform rating of 89 which is a new career peak. There are a couple of options for him. 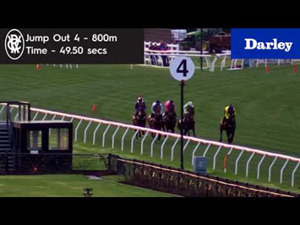 A 2700m Benchmark 76 Handicap at Canterbury next Wednesday which should suit his go forward racing style or he could be dropped back to Rosehill over 2000m next fortnight. Vaucluse Bay is holding his form. He can perhaps drop back in trip and be a factor in that same 2000m Rosehill race. 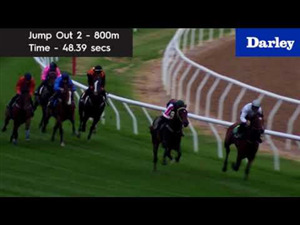 Almanzora needed every inch of the 1000m but she got there, running to a Timeform rating of 89 in the process. There’s always been a bit of a wrap on her. Perhaps she can fulfil it this prep. For now though, it’s probably best not to lose sight of the fact she has narrowly won a Benchmark 78. There’s time for James Cummings to find the right races and work her through the grades. Brook Magic was brave in second. 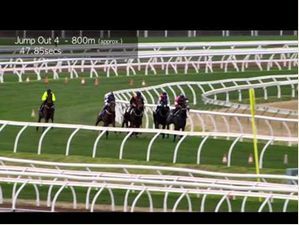 If you watch the first three races, you can tell Hugh Bowman knew the fence was the place to be early on. His first three rides for the day in Butchoy, Follow Suit and Brook Magic didn’t stray far from it at all. Lastly, always respect Joe Pride runners dropping back more than 100m in trip. His stable runs at a profit on turnover. Kerrin McEvoy gave Fiesta a beautiful run, tucked behind the leaders on the fence. She got the split inside the 300m and was strong to the line. Kerrin McEvoy has now won this race in three of its past four runnings. His other wins came aboard Speak Fondly (2015) and Formality (2017). Fiesta recorded a Timeform rating of 108 for the win. It’s a shade below the five year winning average of the race. It still bodes well for her spring. Two of the last three winners of this race won the Furious Stakes at their next starts, Speak Fondly in 2015 and Formality in 2017. Outside of her, Outback Barbie, Futooh and Oohood were all good. There’s the potential this form will hold up nicely right through the Princess Series this spring. 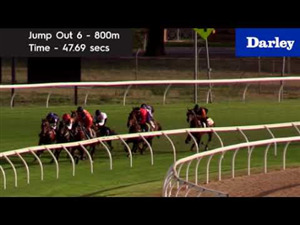 Fiesta and Outback Barbie perhaps hold the advantage early on in the Furious Stakes before it swings to Futooh and Oohood as they get out in distance contesting the Tea Rose Stakes and the Flight Stakes. Master Ash has gone from strength to strength this prep. Giving that even more merit is the fact it is his maiden campaign. 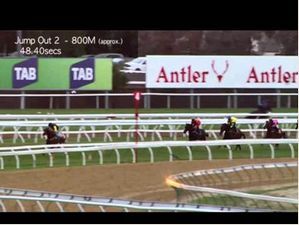 Settled one out and one back, the Sebring colt hit the front at the inside the 200m and put a length on his nearest rival with a performance assessed at 103. 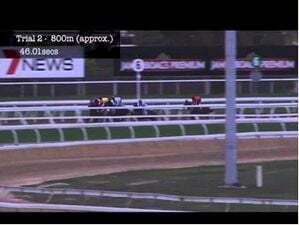 History shows the winner of this race is generally a horse who is down on the minimum weight. This year the first three across the line were down on the minimum. Moving forward into the spring though, it’s best to keep an eye on the horses who held their own despite giving their rivals plenty of weight. Subsequent Golden Rose winner Trapeze Artist was that horse last year. 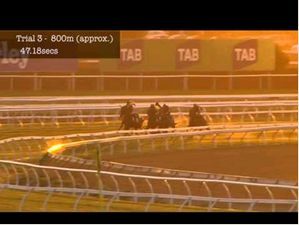 The last two Victoria Derby winners in Prized Icon and Ace High each started their preps in this race. Irukandji fits that bill this year. He wasn’t beaten far despite giving them 5.5kg. The son of Dundeel looks on track for the Caulfield Guineas. There were plenty of nerves through her legion of fans who thought Winx might have been vulnerable first up over 1400m. It turns out there was no need for concern. 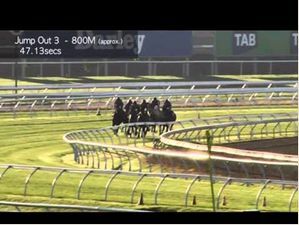 Instead of getting there late against Foxplay and Ecuador as was the case 12 months ago, Winx put three lengths on two of last season’s best colts in D’Argento and Kementari. The Street Cry mare ran 118+ resuming in this race 12 months ago. This year she’s run to 126+. Next start for her is the Colgate Optic White in four weeks and that could potentially prove a Cox Plate winning move. Last spring she had five runs whereas she’s only having four this spring. The champion mare beat Humidor by more than seven lengths fourth up in the 2017 Turnbull Stakes. 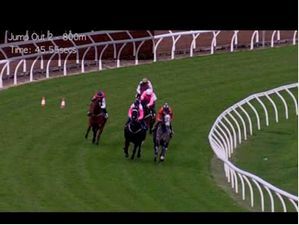 Three weeks later in the Cox Plate there was only a long neck between them. After the dust settled following the win, the cherry on top for Chris Waller would have been watching D’Argento, Unforgotten and Libran all hitting the line. They’ll all no doubt be moving out of Winx’s shadow sooner rather than later. With some solid three-year-old form and just 53kg on his back, Siege Of Quebec was well fancied to knock of Le Romain however the multiple Group 1 winner was simply a cut above. 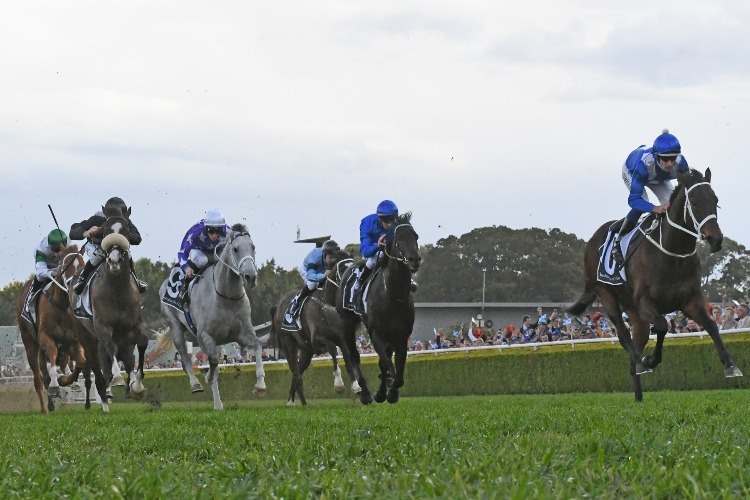 Giving all of his rivals between 5.5 and 8kg yet still winning comfortably, we’ve assessed the display at a Timeform rating of 123. His master rating is 125 from when he edged out Chautauqua in the 2017 Canterbury Stakes (1500m). He’s run to a Timeform rating of 123 on four occasions now which highlights how honest he is. Le Romain can also boast being the highest rated winner of the Show County Quality. Making that impressive is Group 1 horses like Terravista and Rebel Dane have won it in the past five years. He’s off to the Tramway next and will take beating. Siege Of Quebec was in second but simply couldn’t match the quality of Le Romain. The Bill Ritchie Handicap at Randwick in four weeks could be a target for him. The Fastnet Rock entire would be exempt from ballot in an Epsom if he picks that off however the race at this stage has been marked down for that reason by connections of a number of Epsom hopefuls. Egyptian Symbol was the second example on Saturday of Tim Clark enjoying a soft lead out in front. 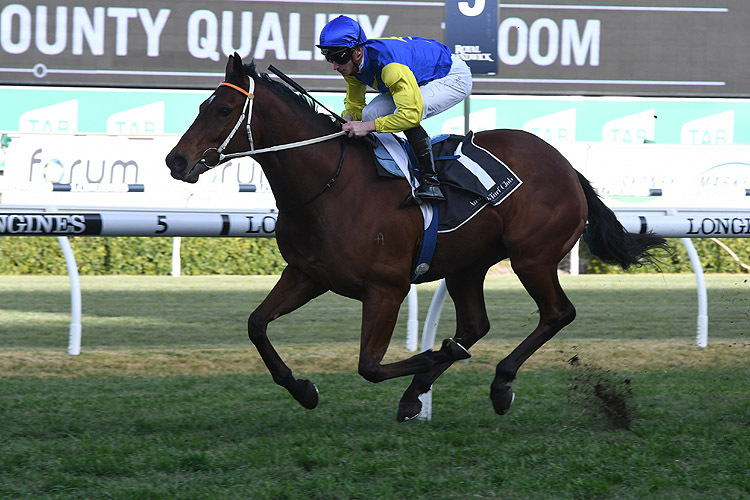 The pair held Zestful at bay late and produced a Timeform rating of 109 in the process. It’s above the five year winning average of the race however trainer Bjorn Baker is not getting ahead of himself. Post race he suggested they were eyeing off the Everest consolation in October with her. 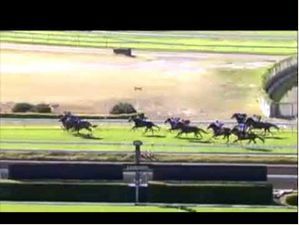 Zestful got her prep back on track in second after a first up display in the Ramornie which was too bad to be true. Nettoyer , Luvaluva and I Am Coldplay were each finding the line like mares who could enjoy some good results this prep over a mile and beyond. After such a good first up win, Kaonic built on it in excellent fashion. The son of Savabeel ran to a Timeform rating of 109. 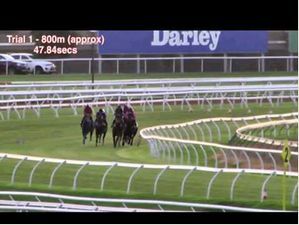 There is a 1400m Benchmark 94 at the course and trip he can go to in two weeks. 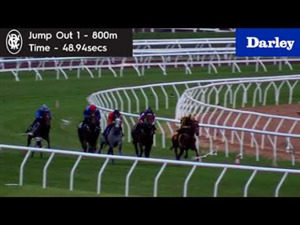 Chris Waller could send him there and then to the Bill Ritchie. 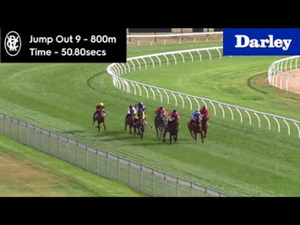 It means the four-year-old would potentially be rock hard fit for an Epsom fifth run from a spell. Shogun Sun strong however highly unlucky in second. One of the blackbookers of the meeting was Best Of Days in seventh. 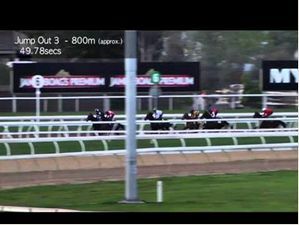 The UK Group 2 winner was held up for a run badly however showed a glimpse of what he’s capable when strong late over the last 150m. He could take beating second up in a Benchmark 88 over the mile at Randwick next fortnight. Race Synopsis: Champion Winx was phenomenal yet again in taking her record to 26 successive wins and her 19th at Group 1 level in winning here. 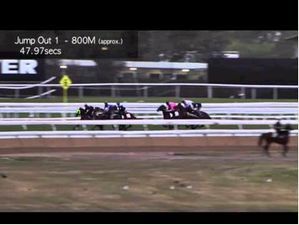 Resuming after winning the Queen Elizabeth Stakes (Gr 1, 2000m) in April, she was a bit slow to move, settled in eighth place behind a steady tempo before improving from the 600m. She was at least six length off the leaders on straightening but then produced her brilliant turn of foot, dashed to the front at the 100m and then went on to score brilliantly. Matthew Smith-trained import Invictus Prince (who raced under the name of Mainstream in UK) at odds of $151 was the surprise packet. Having his third start here after scoring two wins from 13 starts in UK, he settled in sixth place, on the rails, before improving along the inner on turning for home. He went to fourth nearing the 100m and then fought on really well for second in an impressive effort. D'Argento settled in seventh place, improved to fifth coming to the home turn and then battled on in really good style for third, in a really promising first-up performance. 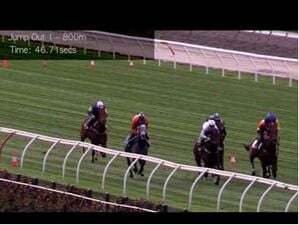 Kementari raced in sixth place, one off the rails, moved up from the 600m, forcing Winx wider, and then battled on quite well in the straight for (3.2 lengths) fourth. 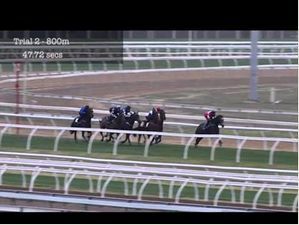 Cabeza De Vaca raced outside the leader (Oriental Runner), got to the front at the 200m and then battled on nicely for (3.4 lengths) fifth in a sound first-up effort.